young Nigerian women to accessorize any kind of outfit. 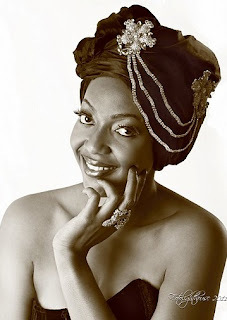 The Ene Maya Collection will be stocking at Rivista Stores on Awolowo Road, Ikoyi from the 1st of March 2011. Prices will range from N5,000 to N30,000. For further enquiries call Ene Lawani on 08035378970. Good work. Creative designs. Congrats. Wishing you success Ene. Some very ugly head gears... yuck!!!! LOL!!!! all those women who have no hairline due to lace wig and co. should quickly get this collection...lol. For all those hating,keep depressing yourselves,it won't stop the chic from making her cash,she s always being a creative girl,don't know why it took her long to do this.congrats Ene,am coming to shop half of your collecting,its just too much. Tye it the old fashion way yourselves. It looks better and cheaper! but how on earth do you want your customers to incorporate this with their everyday look? 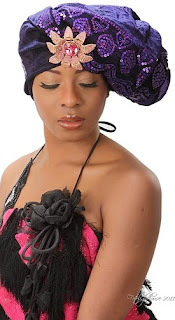 I like them,but do they come in different colours?wouldn't mind one,turbans are so in now.how do I get one?Linda??? @anonymous 12:36pm abeg i no fit laugh i don die with laughter o kai na wetin be dis? i didnt knw ene was a member of the deeper life. how manage they allowed her contest for miss nigeria? this is ug meeeeeen!!! I wouldnt wear it for free! Nonsense!